In an industry that never rests, oil and gas companies need a way to overcome the overwhelming challenges of cold weather. 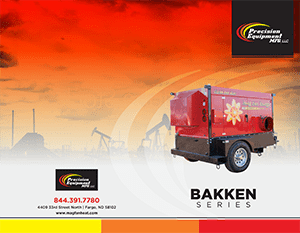 Our Bakken Series was designed to be a one-all solution to these challenges. 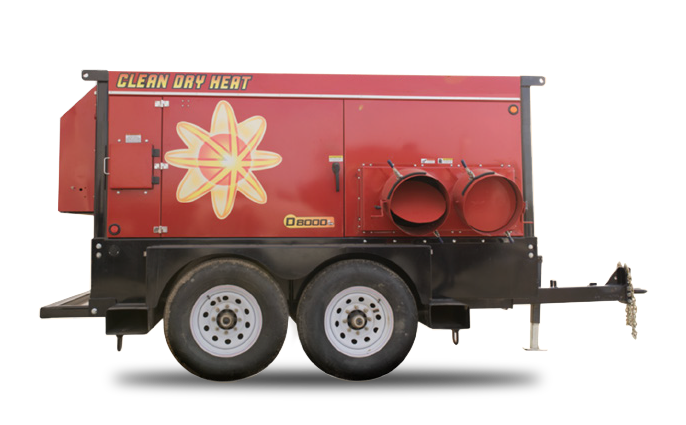 From heating up worksites and preventing frost, to ground thawing and frozen pipe prevention, our commercial heaters are versatile and unique. Not only are these industrial, flameless heaters the safest technology on the market today, they are also the most efficient, durable, and reliable. The Magfan D6000 uses magnetic heat to generate high volumes of humidity-free, low emissions heat for almost any large area. This economical heating solution quickly produces a tremendous amount of fast dry heat, without the use of spark, friction or flame. A safer alternative to an incineration device attached to a boiler, this flameless heater's efficiency rating is over 90 percent in many environments and weather conditions. This high efficiency lowers the cost per BTU, resulting in an overall reduced cost of operation. so even in the roughest, toughest weather conditions this user-friendly series is ready to deliver the heat. 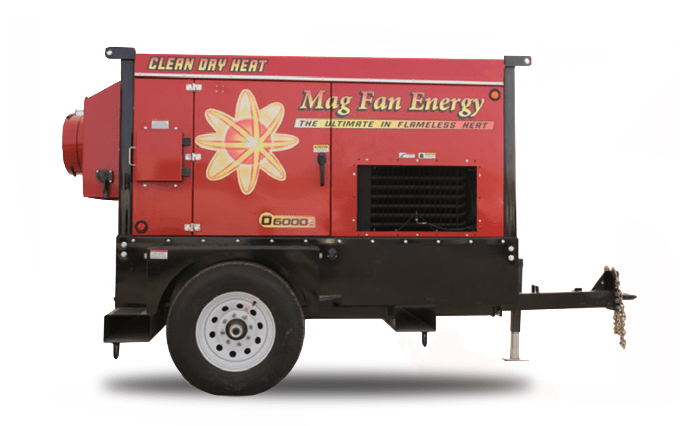 The Magfan D8000 uses magnetic heat to generate high volumes of humidity-free, low emissions heat for almost any large area. This economical heating solution quickly produces a tremendous amount of fast dry heat, without the use of spark, friction or flame. A safer alternative to an incineration device attached to a boiler, this flameless heater's efficiency rating is over 90 percent in many environments and weather conditions. This high efficiency lowers the cost per BTU, resulting in an overall reduced cost of operation. so even in the roughest, toughest weather conditions this user-friendly series is ready to deliver the heat. The XE150 series is a clean, environmentally friendly portable magnetic heating device. This series is an economical heating solution that generates high volumes of humidity-free, low emissions heat for almost any large area. 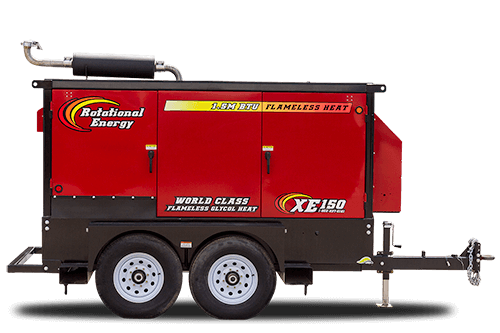 With the use of hydronic heat technology, XE150 quickly produces a tremendous amount of fast dry heat, without the use of spark, friction or flame. A safer alternative to an incineration device attached to a boiler, this flameless heater's efficiency rating is over 90 percent in many environments and weather conditions. With the use of accessories it can easily be configured for ground thawing, concrete curing & air heat. We've designed the Bakken Series heaters to help you out in the cold environment that you work hard in. © 2019 Precision Equipment MFG All Rights Reserved.